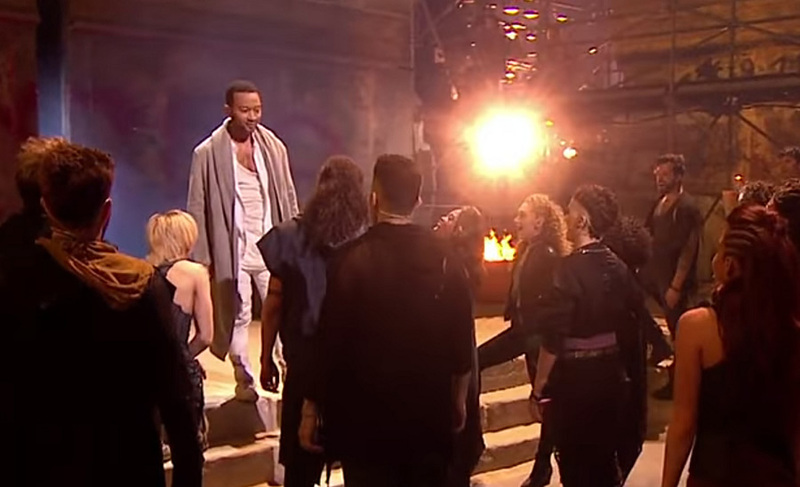 John Legend plays as Jesus in Jesus Christ Superstar. As Jesus lays hands on about a dozen sick people, none of them are healed. He seems to lack the power to heal that Scripture attributes to Him. Thus, He is portrayed as a foolish, pretender Messiah. In one scene, Mary Magdalene (whom the play assumes to be a prostitute) comforts Jesus by messaging His shoulders and chest. That never would have happened without causing an immediate riot by His disciples or without Jesus Himself stopping her. Judas and Pilate are depicted as well-intended, sympathetic characters who appear to have no choice but to betray Jesus and send Him to His death. In other words, their actions of murder and betrayal were not their fault. Jesus Himself accuses God the Father of being at fault in forcing Him to die against His will. And what of professed Christian, Alice Cooper, playing the role of Herod, who mocks Jesus in song? Is playing such a part something a true believer should do? That brings up another question: Is depicting blasphemy committed by characters in a play itself an act of blasphemy? Before you say “Yes,” isn’t that what some of the biblical writers (including Apostles) did in retelling the stories of blasphemers throughout history? In other words, is it fair to accuse those who are recounting the words and actions of blasphemers of being blasphemers themselves? Let me suggest one possible difference between the biblical retelling of blasphemies and those in this play. Though the Bible recounts blasphemies spoken by characters in history, it never stops there. In the Bible, those errors are corrected. Additionally, the consequences of such blasphemies are shown, as a kind of morality play that warns anyone who might decide to act in a similar way. In Jesus Christ Superstar, however, the blasphemy stands by itself as though it were a valid way of thought or deed. But consider this: Is it fair to expect Andrew Lloyd Webber, who by all appearances is a nonbeliever, to accurately portray the story of Jesus’ life? Can God Use a Production Like Jesus Christ Superstar? Or was this play an attempt by Webber to justify his unbelief by putting on display the liberal shibboleths of post-modernism? Could be. But we don’t know what is in the heart of the man. Perhaps his play is simply reflects his ignorance of the divine glory of Jesus Christ, the Messiah and Savior of those who would believe in Him. After all, we are all blind until God opens our eyes to the truth. And finally, a very important consideration: Can God use such a play, riddled as it is with inaccuracies and blasphemies, to bring people to Himself? If so, can we at least rejoice in that? So what are we to do with Jesus Christ Superstar? Note the inaccuracies, of course, but also understand the power of the Holy Spirit to use it. As for myself, in the 1970s when I was living a debauched life as an actor in Hollywood, God used Jesus Christ Superstar to begin the process of bringing me to Him. It caused me to turn my attention back to Jesus and consider His claims once again. The problems in the play went right over my head. In fact, the Holy Spirit has probably drawn hundreds of thousands of people to take a second look at Jesus through this play. So what are we to do with Jesus Christ Superstar? Note the inaccuracies, of course, but also understand and believe in the power of the Holy Spirit to use it to open the eyes of the blind and to quicken them to what is true. Pray to that end. He died to save all who would come to Him, whether through a Hollywood movie or some other means, but all by the Holy Spirit, who is able to lead them into all righteousness. 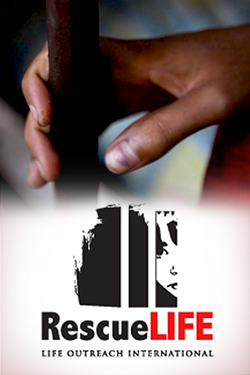 Dr. David Kyle Foster is the producer of Pure Passion TV and the documentaries, Such Were Some of You, How Do You Like Me Now? When a Child, Parent, Spouse or Sibling Says They’re Gay, and TranZformed: Finding Peace with Your God-Given Gender. He is also the author of Love Hunger (Chosen), Sexual Healing (Regal) and Transformed Into His Image: Hidden Steps on the Journey to Christlikeness (Laurus Books). We watched, and despite some issues with it, foremost being that it ends before showing the Resurrection…we thought it was a very well done production. I think it could spark interest in people to know more, and that would hopefully guide them to the actual Biblical story.